The app will work out of the box for 90% of themes. In the rare case we have notified you that your cart settings need to be updated please read the following article. 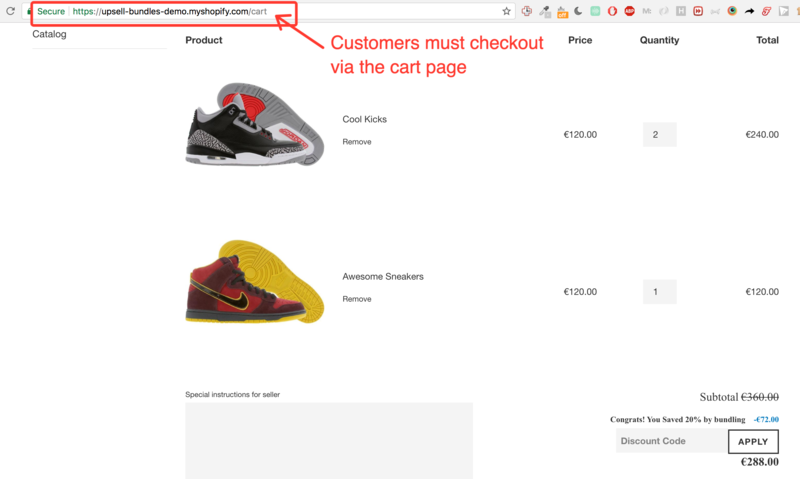 For the app to work your customers must pass through the cart page for the offer to work. Example of how this looks with the Debut theme. Some stores use popup carts or drawer carts - these are incompatible with the app. To update your cart settings to be compatible with the app - please visit the cart settings page. The cart settings page can be reached from the Troubleshooting Section of the settings page within the app. This can be easily reversed at any time by clicking the Revert Settings button. If you don't want to use the Update Setting button - this can be done manually also.